I have, and if I’m being honest and really thinking about it, it sucked. Maybe a better way to say it is: I sucked at it. I’d set goals for my team each year: “Win a League Championship” or “Go undefeated” or something similar. We’d write it down, talk about it, try to get the kids fired up about it, and I’d go home and pat myself on the back, thinking about “what a great coach” I was because our team has implemented goal setting. It took me awhile to realize it, but that was just a huge waste of time for us. The more I thought about it, the more frustrated (and annoyed) I got. Going undefeated is nice and all, but what if my team is mediocre and has no chance of that? What happens to our goal for the rest of the season once we lose? What if our kids don’t even really care about that? What if they do care - how does the idea of going undefeated help let them know what they need to do each day to actually make that happen? How do we know if we’re even on the right track? What’s the point of goal setting when the reality is we spent 15 minutes on it the first week of practice, made a poster and then never really did anything about it the rest of the season? Even worse, I discovered first-hand (and then read about - wish I’d read it earlier!) that setting these giant, lofty goals can actually be de-motivating for your team. The goal of winning a League or Conference Championship can seem so big and so daunting to some kids that they actually lose motivation. They look at it like this gigantic task with no idea where to start or how to tackle it and it can seem overwhelming. I know I’m not alone here. I can’t tell you how many of you WinSmarter readers have had similar discussions with me. I learned the hard way, through lots of trial and error, there’s a lot more to using goal setting effectively than having a pre-season meeting about it. The good news is there’s an easy, step-by-step formula you can follow to implement goal setting to win more, get your kids actually committed to excellence, and enjoy your life as a coach much, much more! Discovering how to use goal setting effectively and in a way that’s EASY for us to implement has been transformational for our program. As our system started to evolve into what it is today, things really started changing in our program. Suddenly we’d notice kids staying after practice to work on skills, holding each other accountable, training with a purpose and not just going through the motions. When I’d talk to kids on our team, their “why” for them was a lot more clear. They were no longer relying on the ebbs and flows of motivation but suddenly had a greater purpose and a clear blueprint to get them there. Coaching became so much more satisfying and fun. Let me be clear, I'm NOT the world’s best coach. Far from it. But that’s why I think the results our kids started to achieve really speak for themselves - we went from a wrestling program that had one Section Champion EVER prior to 2007 to six League Championship teams, two New York State Champions, 11 All-State Wrestlers, 22 Individual Section Champion and 50 All-Section Wrestlers since 2007! Our first State Champion! I wasn't too excited about it. Now obviously, a lot more than just effective Goal Setting went into that, but here’s what I’ve learned: none of the other factors that influenced our program’s success would have been nearly as impactful if we didn’t find an easy, repeatable way to get our kids focused on achieving more and following through daily to make it happen. It’s been that important for us. And the crazy thing is, the system isn't that hard to implement and it's repeatable in any program. I can’t promise what kind of results it will bring you, but I can promise you'll see a huge improvement! So let’s talk about the most important aspects of the system. Here are our 4 Keys to Goal Setting with your team for Guaranteed Results! Want to see how to put this into action today? Download our FREE step-by-step Cheat Sheet for effective goal setting in your program. This post goes through all you need to know to effectively implement team goal setting or individual goal setting in your program. I’d love to take full credit here, but you’re getting a combination of what I’ve learned over the years, constantly refining the system I use with my team, and a lot of great info I got at the Michigan State University Summer Coaches School. I was lucky enough to attend this event, hosted by the MSU Institute for the Study of Youth Sports. The annual event brings together dozens of committed HS coaches of all different sports from all over the country. It’s always awesome getting together with other coaches looking to improve their programs! The faculty at the MSU does an amazing job putting together a program any coach would benefit from! Goal setting can be so valuable to help your team and your athletes achieve great things. I'm a believer. Here’s what I’ve found after 15 years of trying it, though: it’s been really hard for me to do it “right" - to do it in a way where it’s meaningful to our student-athletes and effective for helping to push them towards their goals on an ongoing basis. And despite all of the books I’ve read, conversations I’ve had and clinics I’ve attended over the last 15 years, no one really seems to talk about the concrete strategies a coach can use to implement a goal setting system during their season and have it yield the kind of results people say it’s supposed to. Through all of these resources (and A LOT trial and error! ), I’ve put together a system for my program that really allows the rubber meet the road and gives us great results. The challenge for all of us is finding a way to take the abstract philosophies of goal setting and translate them into a step-by-step action plan we can use to make goal setting as tremendously valuable and useful as it can be! I’m not going to get into every little detail right now - I want to get this out to you guys quick to think about over the summer! - but I will share with you some great nuggets of wisdom I learned that help me put together the successful system we use and a cheat sheet to put these strategies into place. Let’s first start by talking about why it’s so hard to get goal setting right. Kids just don’t “get it." They come up with goals that are not quantifiable or just plain make no sense based on where they’re currently at. We sometimes end up setting goals for them. ​It’s really hard to come up with a process to help kids develop their own goals that do make sense, so, as coaches, we sometimes, come up with our own goals for the team or individuals. I can tell you from experience, that's just not effective. Having kids identify and create their own goals is hugely important if we want them buying-in and doing what's required to ultimately achieve those goals. ​Big, lofty, future-oriented goals don’t necessarily motivate kids on a day-to-day basis and may actually be demotivating. These goals can seem like this abstract dream that’s nice in theory, but not practical in terms of giving kids the concrete steps they need to follow to get there. The goal can be so big and overwhelming that kids actually put off doing the things necessary to make it happen, because it seems so far-fetched to them. ​Goals can become “outdated” quickly﻿.﻿ If our team sets a goal to be State Champions and half way through the season we’re 3-10, that goal is not realistically attainable any longer, so how does it provide any motivation for the rest of the season when everyone knows it can’t be attained? We can certainly keep improving at that point - and we should! - but it’s that much harder when there’s no longer a realistic goal for us to strive towards. Accountability﻿ - we try to have each kid set individual goals for themselves to complement our team goals. There are two main issues here: for team sports, it can really be counterproductive to our team effort to have individuals set goals for themselves if those goals center around an individual’s statistics. It’s pretty clear how, depending on the logistics of your sport, this can lead to selfish team play, which is something we all want to minimize or eliminate. Second, for all sports, whether you’re talking about team goals or individual goals, I’ve learned the hard way that goals created at the beginning of the season aren’t worth the paper they’re written on if there’s not a way to go back and revisit them regularly - to check in on progress and add a layer of accountability to keep our guys on track. All this was super frustrating. Deep down I knew that using goal setting effectively could be a really powerful tool to help my team and my athletes get better and better over time, but I just couldn’t balance all of these issues in a way that it was ever truly effective. Enter these four strategies that have really helped make a difference. So I know many of you have heard of SMART goals. For those who haven’t, SMART is an acronym coaches can use with their athletes to help them develop effective goals. SMART stands for Specific, Measurable, Attainable, Relevant and Time-Bound. Time-bound - good goals should be time-bound to prevent them from dragging on and on without a completion date. Open ended goals without a deadline aren’t really goals at all - they’re just dreams! Now this is a great start, but a problem I’ve faced with my teams in the past is that this framework doesn’t address a changing reality. Where this system can fall short is that what might be a great SMART goal at the beginning of your season might become irrelevant or unattainable as your season progresses. A great way to think about this is a small tweak that I picked up at the MSU Summer Coaches School. I’ll now be coaching my athletes to SMARTER goals to address these shortcomings! To make SMART goals SMARTER, we’re going to add in: Evaluate and Readjust. I know this will be really helpful for us. By helping our kids create SMART goals for the team and for themselves and then making sure we add in regular, periodic opportunities for our kids to evaluate where they are currently, what has changed and whether they need to readjust any of their goals based on their new reality, will keep the goals relevant and front of mind, and keep them motivated and engaged in the goal creation and goal seeking process. Getting our athletes to realize that not all goals are created equal has been a bit of a challenge and has definitely been another reason why the goal setting process has been less effective than it could have been in the past. Educating our kids about different types of goals, what they’re used for and when each is appropriate - and doing it in a way that they understand clearly - also has made a big difference for us. Outcome goals are your daydream, your vision of success, what your athlete or your team is trying to accomplish in the big picture of their season (or longer). Performance goals are more controllable. They are dependent on your athlete’s or your team’s performance, usually in competitions. Process goals are very controllable. They are often daily or weekly targets or metrics to keep an team or athlete on track towards their performance goals. For a soccer team, an outcome goal might be to win a conference championship this season. A performance goal related to this might be to take 20 quality shots on goal each game as a team. A process goal might be for every forward and midfielder to take 25 shots on goal before, during or after practice each day. The biggest differences between these three types of goals are the time-horizon and controllability. An outcome goals will typically have a longer time-horizon, like a full season, and low controllability. For our soccer team here, winning a championship is a goal that will take the whole season to play out, and many other teams have a say in who will win that title, so it’s definitely an area where our team has a low amount of control over the outcome. A performance goal will have a shorter time horizon, like each game of the season, and somewhat more controllability. In this soccer example, the performance goal we set for ourselves is one that we'll either achieve or fall short of each game we play and it's also a goal that, while not totally controllable, is something we can control more easily than our longer-term outcome goal. Finally, a process goal is usually daily or weekly, so very short term, and something we usually have direct control over our success or failure. Our process goal in this example is just that - it’s a goal our team can achieve daily and is something that they have 100% control over whether they achieve it or not. An outcome goal for an individual wrestlers might be to win a state championship. A performance goal might be for that wrestler to outscore opponent each match in the last 20 seconds of each period. A process goal might be to drill 50 double-leg takedowns in practice each day. It starts to become really easy to understand the difference between outcome, performance and process when you start to look at it in terms of time horizon and controllability (or “locus of control” for you academic-types)! This is something your kids can really internalize. When setting your goals, you should always have your team start with an outcome goal and work backwards from there. When thinking through their performance goals, make sure your team remembers their outcome goal and chooses performance goals that are not only SMART, but that they feel would be the most important things they can strive for to help them reach their outcome goal. I’ve found that good guidance from the coach here REALLY helps the process! Finally, take it one more step and ask them to come up with process goals. 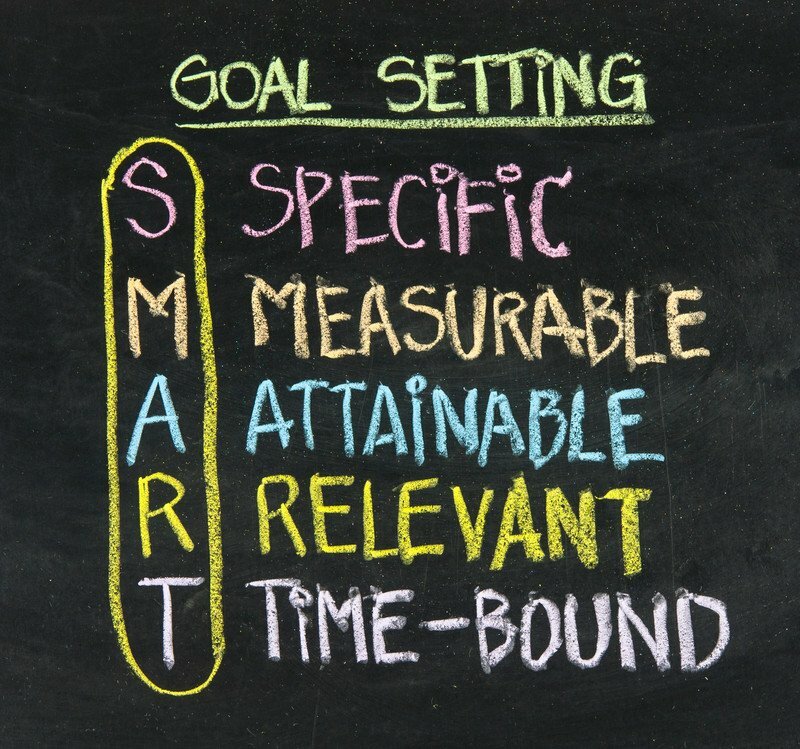 Just like the last step, the goals should be SMART and they should really key in on the weekly and daily things they can do that will have the biggest impact on their ability to achieve their performance goals. To keep things manageable and focused it’s a pretty good rule of thumb to have only 1-2 outcome goals, no more than 2-3 performance goals and no more than 3-5 process goals. For your daily process goals it works best if you only pick one or two for each of your athletes to focus on for any given day. This helps prevent overwhelm and let’s them really zero in on the important tasks that will ultimately make them successful. Once our athletes have created their team goals (or even individual goals! ), we found it really helpful and motivating to create a team pyramid of success. We create an actual poster and hang it on the wall of our locker room to remind our athletes what they’re working towards. 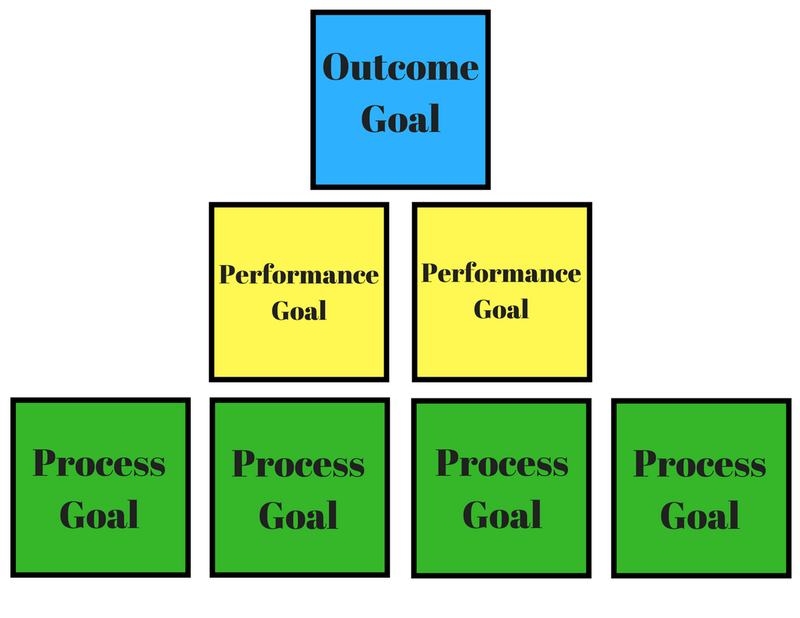 Here’s a mock-up of what it looks like - obviously include your actual goals instead of "Outcome Goal," "Performance Goal" and "Process Goal"! This helps for a couple of other reasons too. It provides a very clear, visual aid to illustrate to our kids that the “foundation” or “base” of their success all comes back to focusing on their process goals on a daily basis. Instead of worrying about winning a championship each day, they can simply focus on meeting their process goals and visually see how the process goals will support them eventually reaching their performance goals and outcome goal. This, in turn, also helps remind them that although we created our goals from the top down, we need to focus on implementing them from the bottom up, the same way we’d build a pyramid. As a coach, you can really take advantage of this type of goal setting framework to help your athletes develop a strong competitive mindset and free them from the stress of performance anxiety. So much of the pressure and stress that gets into our athletes’ heads comes from they’re heavy focus on winning. If you think about it, that’s not what’s actually causing the stress, though. The stress about winning comes from knowing it’s an outcome that they don’t have full control over, so, despite their efforts and preparation, it might not happen - their opponents certainly have a say in the matter! Now imagine you could take those same athletes and move their focus from the competitive outcome to their process or performance goals which are far more controllable. That stress disappears because suddenly they focusing on goals where they alone can control “success." To really drive home the point that working to meet your process goals on a daily or weekly basis is so important for achieving your longer term outcome goal, we make a slight change in the language we use with our team when talking about these process goals. Rather than using the term “process goals,” we call them “commitments.” Just like we’ve discussed, we have our teams create outcome goals and performance goals and then ask then, using our SMART framework, ask them what “commitments” they need to make on a daily and weekly basis to prepare them to achieve those performance goals and, ultimately, their outcome goal. That simple change in language has had a tremendous impact. While the goal setting process and terminology may be new for many of our kids, they all understand what it means to make a commitment. That language adds a layer of accountability all by itself and our kids inherently understand that making a commitment means they’re agreeing to take certain actions on a daily or weekly basis and that their team and coaches can count on them to do so. Ok, great, so now we understand what kinds of goals we should be setting and how they relate to each other, what makes a good (SMART) goal, and how we should periodically evaluate and readjust these goals. That’s all great, but one of the biggest challenges we’ve ever had is talking with our kids in a way that gets them to create the goals themselves so they’re useful, effective and, most importantly, coming from the kids, themselves, and not the coaching staff. Sounds easy, but let me tell you, depending on your team any given season, it can be a challenge. The best solution I’ve learned for this is to have directed goal-setting conversations with the kids on our team, individually or collectively, using the GROW model. You got it - GROW is another acronym to help us get our kids thinking about goals in a common sense way, grounded in reality. So let’s go through it one step at a time. So the point of this framework is to ask leading questions to your kids to get them to arrive at the right place. The hard thing here (at least for me!) is to try to stick to questions only when talking to our kids. This ensures that they’re coming up with the answers themselves and we’re not putting words in their mouths. We’re going to start off by asking them about their goals. A great way to start off here, is by asking them something simple like “What are you looking to accomplish this season?” If the answer isn’t clear or needs to be further fleshed out, ask follow up questions to get them to express their full ideas. It’s much more effective to lead him down the path of reality. I’ve found that 95% of the time this framework allows these “big dreamers” to make that connection on their own and adjust their goals accordingly. Once again, it’s always more effective when it comes from them! This step is all about brainstorming. Here you’ll ask them to list out all of the possible things they can do to go from where they are now (“Reality”) to where they want to go (“Goals”). Really try to ask leading questions to get them thinking outside the box - sometimes it’s the creative solutions that are best. One of your best questions to ask in this phase is “What else?” and you should probably be asking it several times! A pen and paper is definitely recommended here - have them actually list out their options. This will help them make better decisions later when they can see all of their options in front of them. The other big benefit of the “Options” step is for those kids with the unrealistic goals who still maybe haven’t made that realization. Even when you take them through the reality step, some kids still hold on to that huge goal that you know is setting them up for failure. Here though, when asked to connect the dots and describe how they’ll get from Point A to Point B, it usually becomes more clear to them if a particular goal is unobtainable. The important thing, though, is that they figured that out on their own. When this is the case, be supportive and take them back to the “Goals” step to allow them redefine targets that make more sense. Now here’s where we put it all together. Bearing in mind their goals and their reality and looking over the list of options they’ve created, have them select the options that are most likely going to lead them to where they want to go! In my experience picking 3-5 strategies is the optimal number. Any more becomes hard to manage. And fewer might make it more difficult to actually get there. The important thing, though, is not asking to necessarily select the strategies they “like” the most, but rather to think about what strategies are most “likely” to get them where they want to be - these two things aren't always the same! The last thing that’s important to get across to your kids here is how this process fits into the context of their Outcome, Performance and Process goals. Typically the “Goal” they set for themselves in the first step of the GROW model is really an Outcome goal and should be labeled as such. The end result of the strategies they pick in the “Will” step are most likely Process goals (or “commitments”) and should also be labeled accordingly. It will also help a ton to refer back to the SMART model and make sure they’re creating a these commitment in a way that’s measurable and time-bound. Let’s go back to the end of the GROW model meeting we just had. When an athlete or team agrees to commit to the strategies they selected, we need to come up with a system to ensure continual check-ins and follow through. Like we said earlier, goals aren’t worth the paper their written on if there’s no follow through! Once your team or athlete agrees to the commitments they’ve chosen, have them write them down (neatly and by hand!) on a fresh sheet of paper, right then and there! 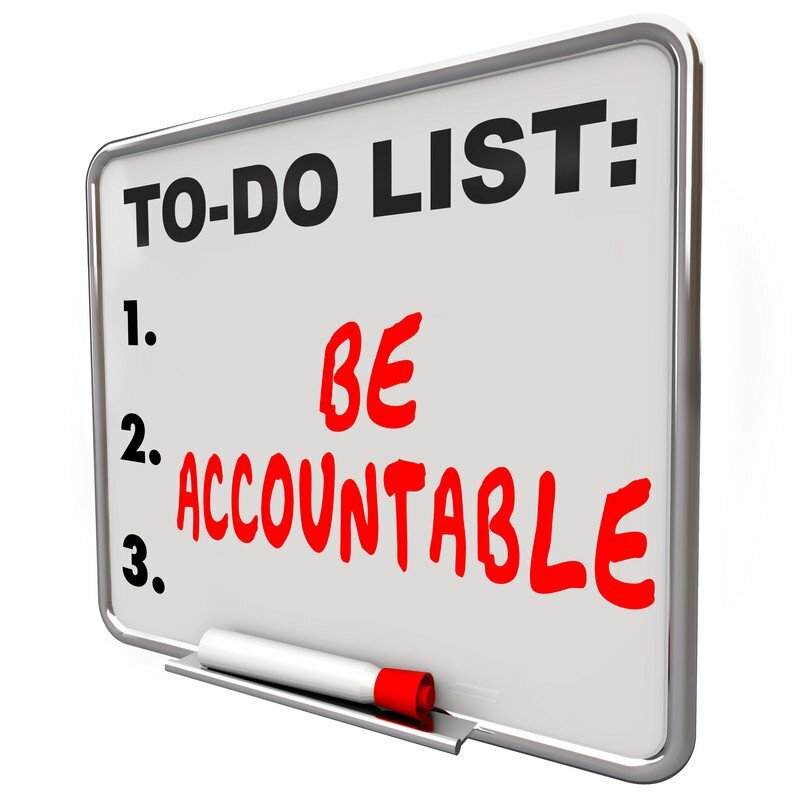 The bottom line for accountability is that we’re looking for our kids to turn these commitments into habits. Psychology tells us there are three main components that help us turn tasks into habits: triggers, rewards and consequences. A trigger is the action that immediately precedes a habit. For example, if I want to start flossing and I already brush my teeth every night, I’ll use brushing as my trigger to floss. When I first start trying to create the flossing habit, I’ll make it a point to floss every night immediately after I brush my teeth. Soon it will become automatic and won’t require any brainpower on my part - once I’m done brushing my teeth, I'll go right for the floss. A good example in athletics might be 10 extra sprints after practice. My trigger could be when the team huddles up to break it down at the end of practice each day. Rather than going for the water jug or joking around with teammates first, I’ll go right into my sprints. "Rewards and consequences” for our purposes, simply means setting up a system of positive and negative reinforcement to help encourage the habit. These can take on any form and you can get really creative with them. A simple example might be if the team does 10 sprints after practice everyday for a week, they get to choose the music in practice the next day (positive reinforcement) and if they don’t they have to stay after practice on Friday to clean the locker room (negative reinforcement). Sometimes coming up with appropriate and effective triggers, rewards and consequences can be difficult for kids so be ready to give suggestions and guidance if necessary. Posting your goals (or commitments) where you can see them daily has also been very effective for keeping them front-of-mind. In each kid’s locker works great, but why stop there? Have them post another copy at home on the mirror where they’ll see it everyday. The other added benefit here is that we’re all much more likely to stick to a commitment if we’ve made that commitment public. It makes sense, then, that publicly stating (and posting) our commitments for everyone to see will help us stick to them! As we mentioned earlier having a system on ongoing check-ins adds a tremendous amount of accountability. This is probably the most important thing we can do as coaches to keep kids following through. The problem we always run into is time. With all of our responsibilities as coaches, there aren’t enough hours in the day to schedule weekly individual meeting with each of our kids to make sure their holding up their end of the bargain. Despite the importance of this, it’s often where the whole system falls apart. There’s an easy solution to this though: assigning kids on your team as accountability partners. Each kid on your team get’s assigned another kid as his accountability partner for the season. You’ll provide a few minutes each week or each kid to meet with his accountability partner, report to them how they did with their commitments that week and work out what their reward or consequences will be. Fridays or Saturdays works great for this since they can check back in on the week they have just completed. We give our kids a few minutes at the beginning or end of practice on Friday. 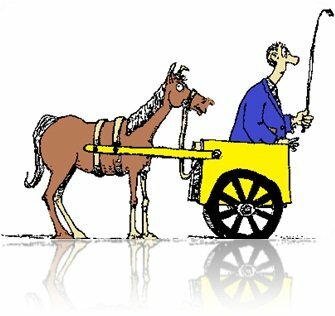 I’d suggest having the coaching staff assign the accountability partners rather than letting the team pick themselves. You know your team best, and can make sure to pair up kids that will work well together. What’s generally worked well for us is to pair up the older kids with younger kids, which seems to add another layer of accountability - the younger kids don’t want to disappoint the older kids, and the older kids want to set an example and be a leader in the eyes of the younger kids. While assigning accountability partners does take care of a lot of the accountability, it's still been super helpful for our coaches to schedule one or two individual meetings with each kid over the course of the season to evaluate how they are progressing towards their goals and help them readjust their goals or commitments if needed. Remember, we want make our SMART goals SMARTER. Hey, I’m a realist. I know this isn’t for everyone. If you want some sort of magic wand you can wave to give your team the success on and off the field, court or mat that you’ve always wanted for them, this isn’t your answer. But, if you’re committed to being the best coach you can be, and are ready to put some effort into having the kind of impact on your kids that will help them for a lifetime, this is one of the greatest systems you can bring to your program. While the reality is it will take some work, when you follow the system, you’ll see some effort up front will go a long way and while things will never truly be on auto-pilot (what, ever, is as a coach?! ), once it’s up and running it won’t add hours to your day or take away valuable practice time. I wish someone taught me this when I was a new coach! The framework laid out here gives you all the tools you need to put together a goal setting system in your program that will be meaningful, effective and impactful. There’s enough flexibility that you can bend it to make it work for your team in any situation. It’s truly a win for you and a win for your kids. I’m sure as time goes by my system will continue to evolve and improve even further. 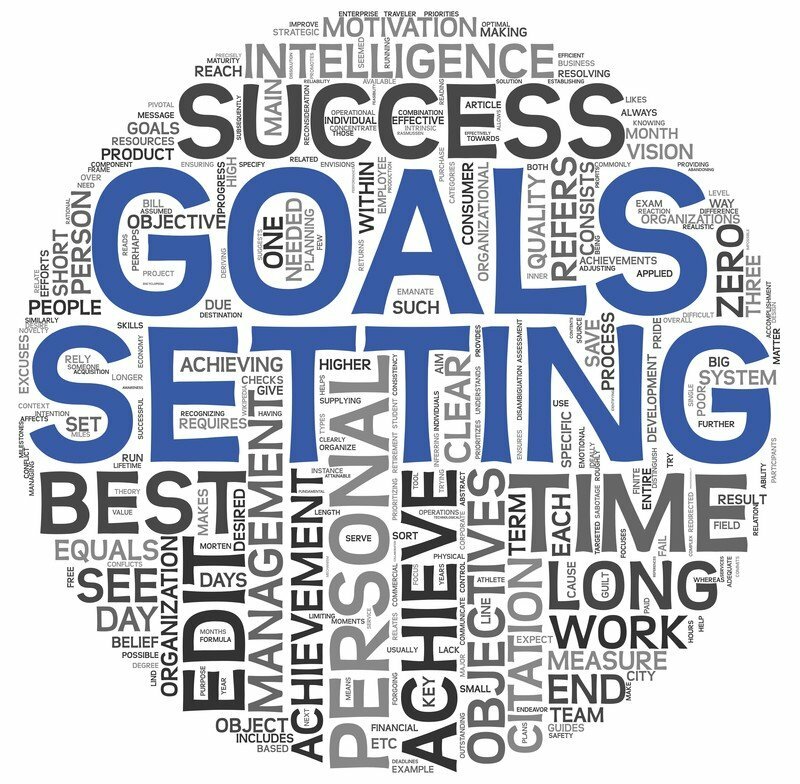 I’d love to hear what kinds of things you guys do for goal setting in your program, so please drop me a comment below or an email at pete@﻿﻿winsmarter﻿﻿.com and let me know! You guys know my goal with WinSmarter is to take great ideas and turn them into concrete, actionable steps you can take to build your program. Hopefully, you’ve gotten just that. To make it even easier, grab our quick step-by-step Goal Setting Cheat Sheet to see EXACTLY how we do it in my program and remove the guesswork!